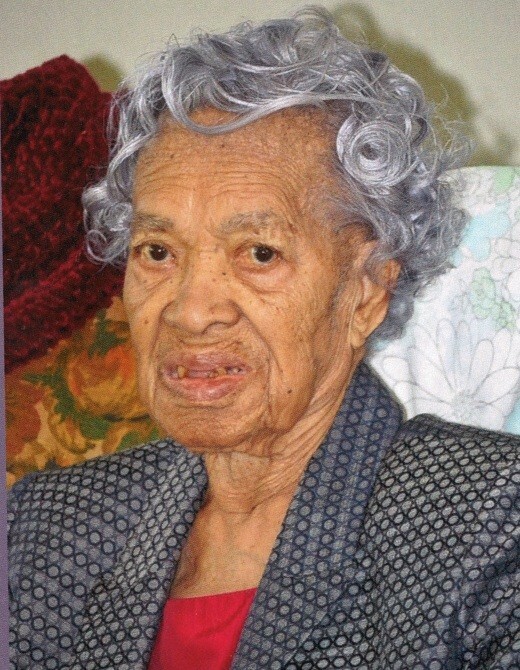 Obituary for Mrs. Isadore Battle | William Toney's Funeral Home Inc.
Mrs. Isadore Battle, 101 of Spring Hope, departed this earthly life on Monday, August 27, 2018 in Charlotte, NC. Funeral service will be held at 12:00 Noon on Saturday, September 1, 2018 at St. Stephen Baptist Church, 518 S. Pine Street, Spring Hope, NC. Interment, Spring Hope Memorial Gardens. Visitation will be held from 3-7 PM on Friday, August 31, 2018 at William Toney's Funeral Home, Spring Hope. The family will be receiving friends from 11:30AM-12:00PM prior to the funeral at the church. She leaves to mourn: her daughter, Cornelia Faye W. Martin of Charlotte, NC; son-in-law, James Martin; one reared as her daughter, Willie Mae Alexander; three nephews, Harold Lucas of Charlotte, NC, William Anthony Dunn (Wanda) of Lanham, MD, and Daniel E. Dunn (Linda) of Wilson, NC; one niece, Jackie A. Lucas of Charlotte, NC; a host of other relatives and friends. A Service of Love and Dignity provided by William Toney's Funeral Home of Spring Hope.